Does a divorce have to be pending to get post separation support? The power of a Family Court Judge – Does a divorce have to be pending to get post separation support? San Diego Divorce and Family Law Attorney, Paul Staley, released a new YouTube video: Does a divorce have to be pending to get post separation support? The question is — does a divorce have to be pending in order to request that the court order that support be paid from one spouse to the other. And the answer is “yes”. There has to be some basis for that judge to have, what we’d call ” jurisdiction” to make a court order that one spouse pay either spousal or child support to the other party. Now, I suppose it would not necessarily have to be a petition for divorce, it could be a petition for legal separation, but one way or another, there has to be one of those two kinds of proceedings pending in order for the judge to make any orders of all. Other topics that might interest you What impact could my dating have on post separation support? Other topics that might interest you If I’m separated from my spouse do I have to get a divorce? 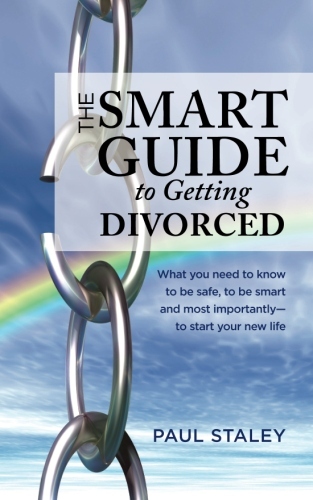 Previous post: What happens if I file for divorce without a lawyer? Next post: How is child support paid? I'd just like to say that The Law Offices of Paul Staley handled my case very professionally. Also, they were so great that I actually referred 2 of my friends to the same law firm - So, I would definitely say this is a great place to check when you're calling around for either a new family law attorney, or for bankruptcy help here in San Diego. One of the best things is they never talked down to me,or rushed me. Finally!!!! Divorced!!!! YAY!!!! I can start my life over again thanks to Mr. Staley and his amazingly helpful and patient staff. Mr. Staley and his office made the divorce process as painless as possible.I would recommend him to anyone who needs a great family law attorney. He's the best in town! Paul is a welcome change.He is experienced yet doesn't act better than you.He tries to help and talks "to you" rather than "at you." Thank you Paul and the rest of your staff for a pleasant experience through a horrific part of my life. My life is getting back on track now, and I'm glad you made it a worry free process! The first time I met with Paul was in his office in the year 2013. At that very moment I felt very comfortable, safe and secured with him as my lawyer. He was so pleasing,approachable and professional. I was able to tell him all my concerns without any hesitations and he explained to me everything clearly. He was very thorough and detailed.From that time we both have a good rapport. He always make sure that I understood everything he said. I worked with Paul after a nightmare with another lawyer. Paul was fast, professional and got the job done! Since the work was completed I've had questions over the years and Paul has always answered my questions without charging me a dime. I would not hesitate for even one second to work with Paul again. I would recommend Paul to anyone stuck in a very unpleasant situation.Paul and his staff are always willing help, are nice and caring.He was with me every step of my child custody/child support, I never felt like I was dealing with it alone. I know I have more legal battles in my future and I want Paul at my side. Paul Staley represented me in a move away order when I was unable to get a job in the San Diego area and my ex-husband refused to let our children move two hours away. At the time, my children and I were incredibly distraught; he spent a great deal of time working on our case, as both an outstanding professional and a compassionate counselor, providing me with the legal means and the fortitude to work through this contentious, emotionally charged situation. As my children and I have been blessed to with the opportunity to settle into our new lives, we will always be grateful to Paul for his hard work, his guidance, and his finesse in working with the legal system. Simply put, he's brilliant! San Diego Divorce Lawyer: What are the options ? Divorce Attorney in San Diego Ca. San Diego Child Custody Laws - When do I use the courts? San Diego Child Custody Lawyers: What is joint custody? Who should leave the house in a divorce first? Who will get custody of our children? How much power does a Family Court Judge have? What should I know before Family Mediation at court? What is a Divorce? How do I obtain a Divorce? Can a Spousal Support Order be terminated?